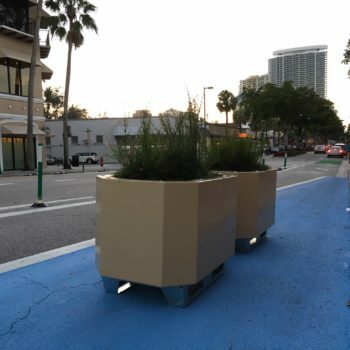 Our 4’-long STEELGREEN™ Planters are multi-purpose structures in bike lane buffer zones: protective, green, portable, and customizable to promote community identity. 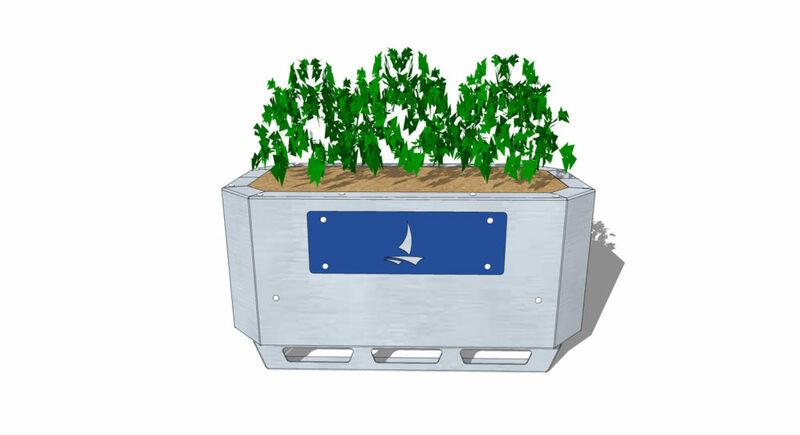 Made of 100% steel and galvanized for rust resistance, their strong, durable basin is available in numerous colors, and their forklift-ready base can be anchored to the surface for added stability. 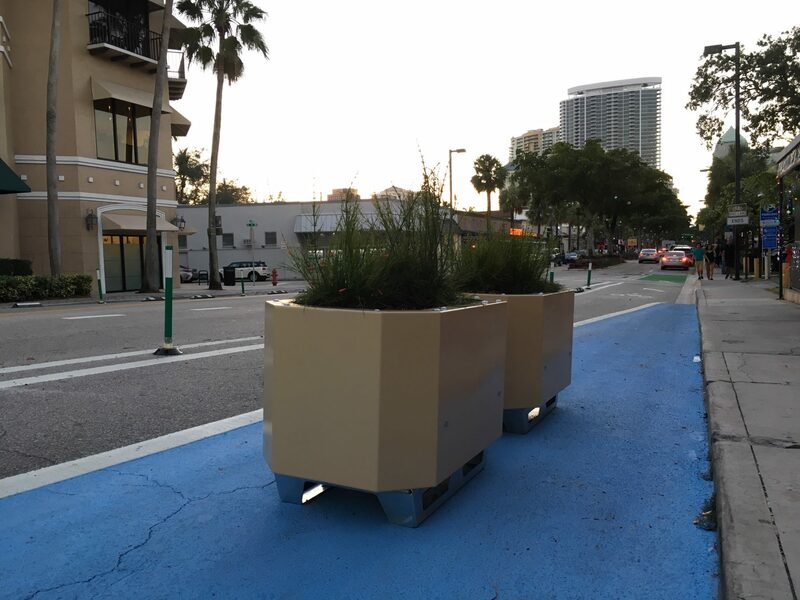 STEELGREEN Planters’ contemporary design can be customized with removable INFOPANELS™ featuring city logos, imagery, or even advertising. 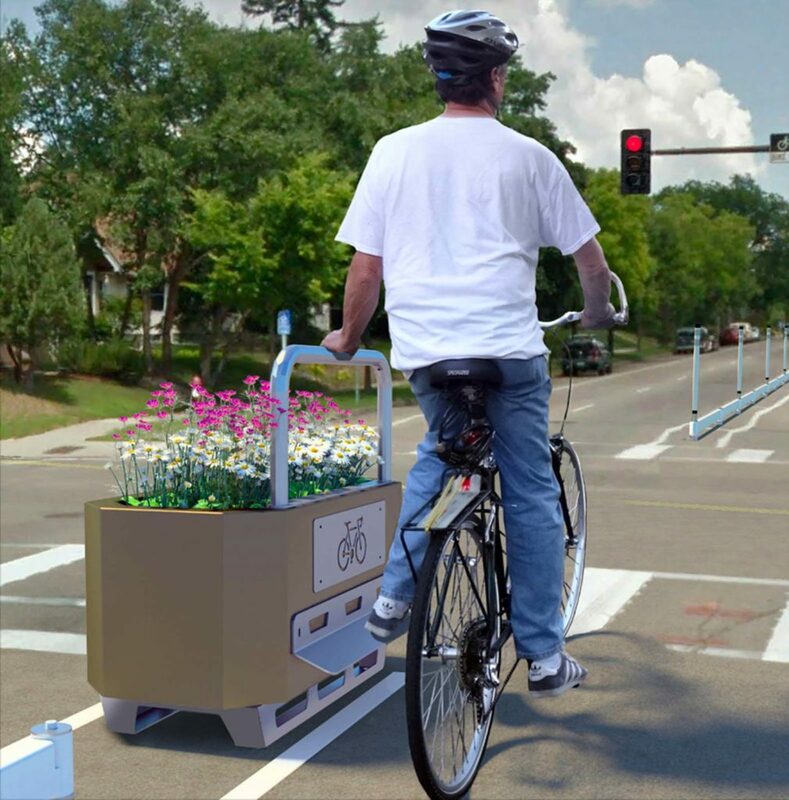 Additional options include a self-watering system for maintenance reduction, and a PEDISTILL® Hand+Foot Rest for planters located at intersections. 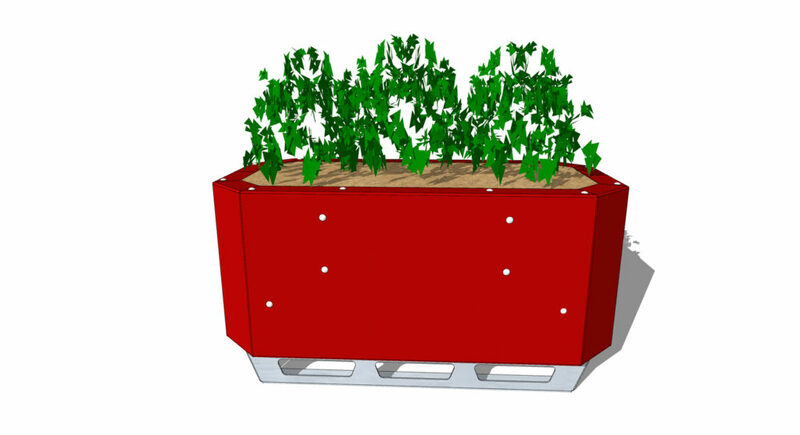 Weight (full soil load): ~520 lbs. 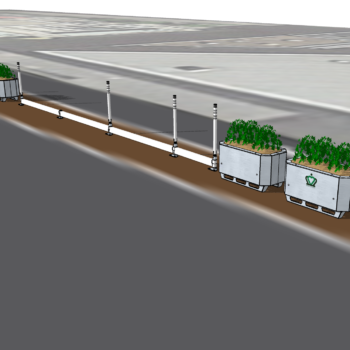 Improve plant health and reduce water waste and maintenance costs with optional self-watering systems. 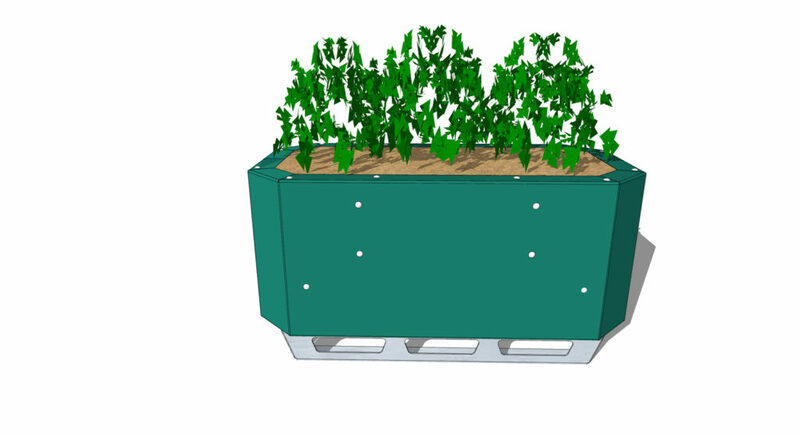 Place the reservoir in Planter, attach tube, and fill with water. 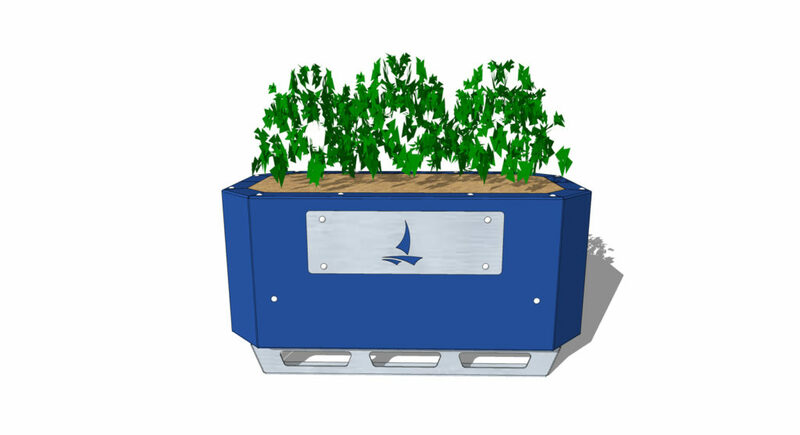 Plants’ root systems absorb moisture as needed. Excess water drains through holes in all four corners of the Planter’s basin. STEELGREEN Planters are highly customizable. 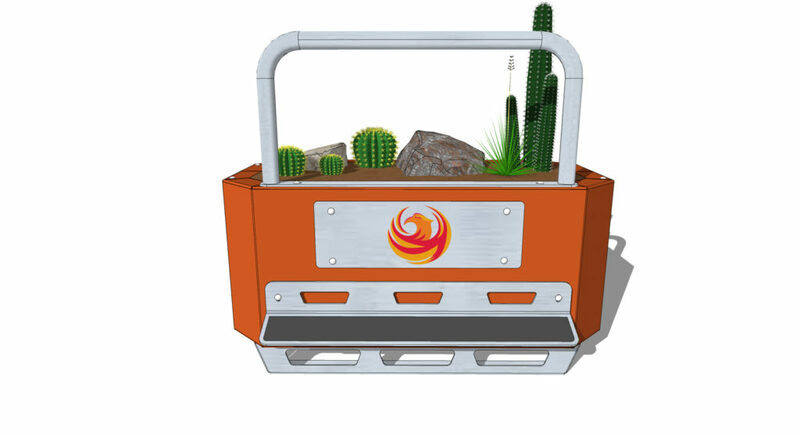 Basins are available in a galvanized finish, or in a color that reflects your community’s branding. 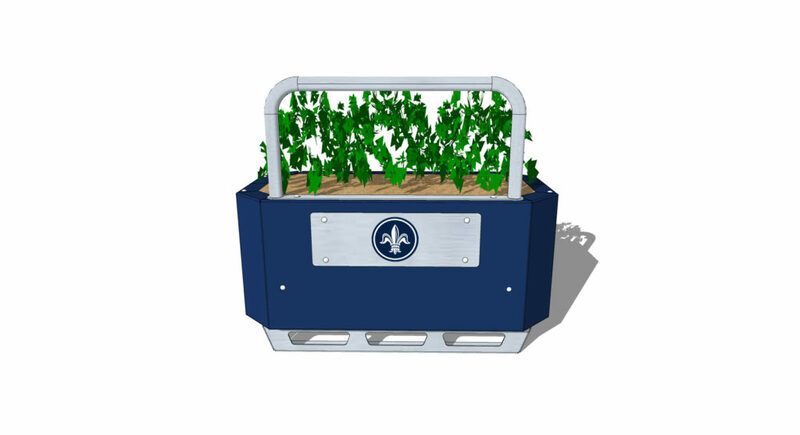 Optional INFOPANELs (galvanized or color) are 24”L x 8”H removable steel panels featuring a standard bicycle graphic, or your choice of logo(s), imagery, or sponsor advertising. Simple imagery is laser cut into INFOPANELs. Multifaceted imagery is produced on an adhesive material which is applied to the panels. 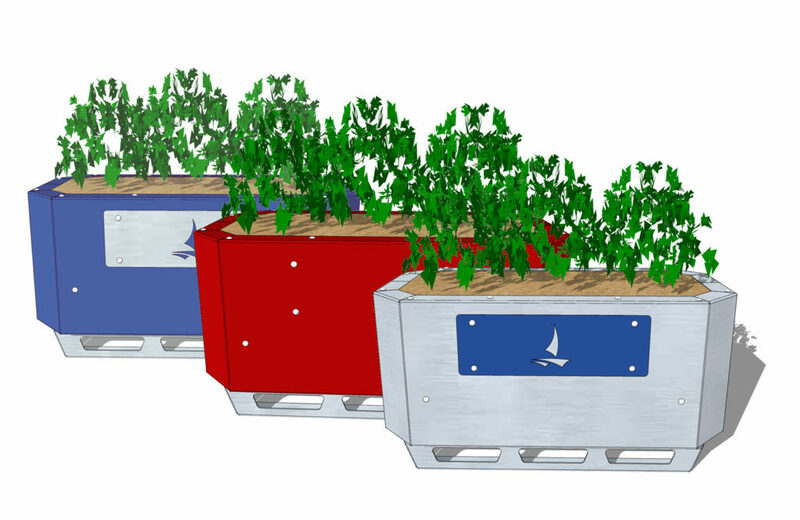 Choose INFOPANELs for one or both sides of the Planter. 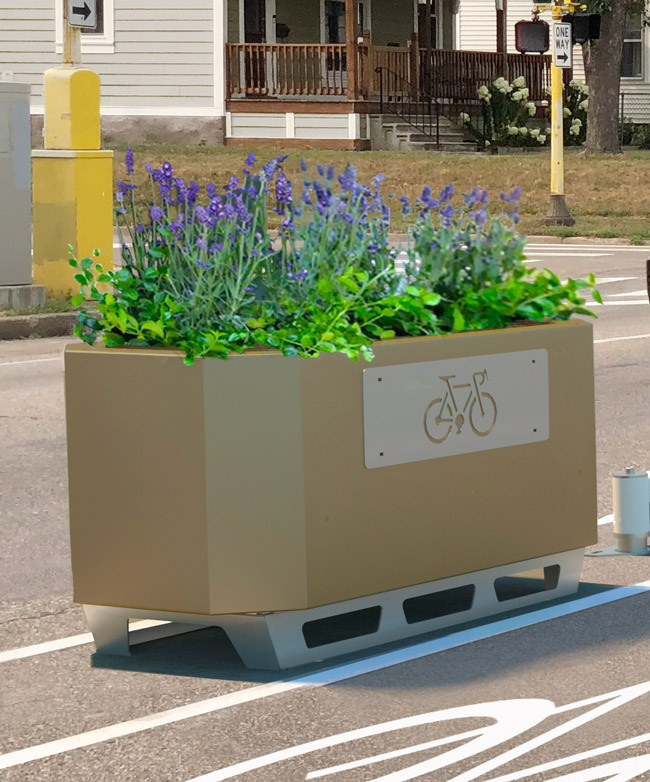 The PEDISTILL is a two-part steel accessory that turns STEELGREEN Planters into convenient red-light rest stops when located in bike lane buffer zones at signalized intersections. 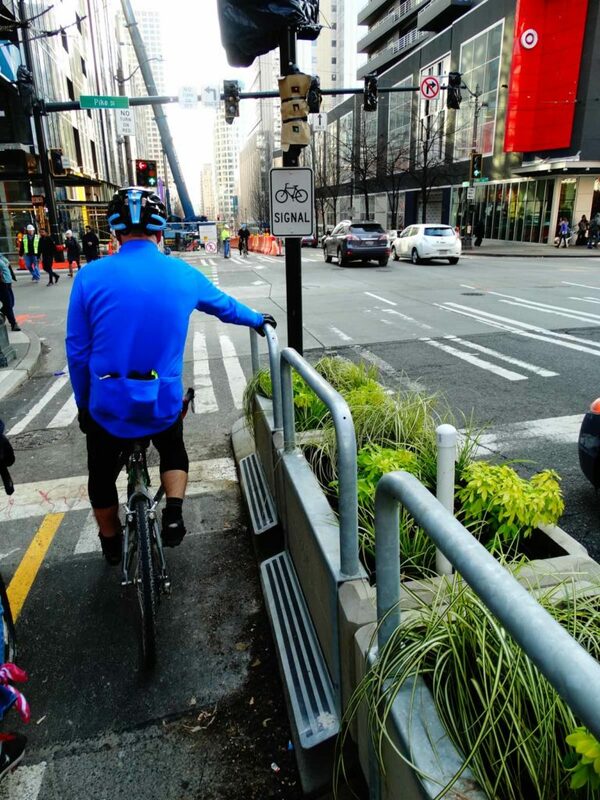 Bicyclists grab, hold, and enjoy staying on their bikes while waiting for the green light. 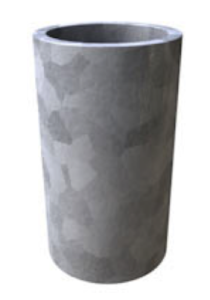 Available in galvanized finish, choose the hand rail, the foot plate (with optional non-skid surface), or both. 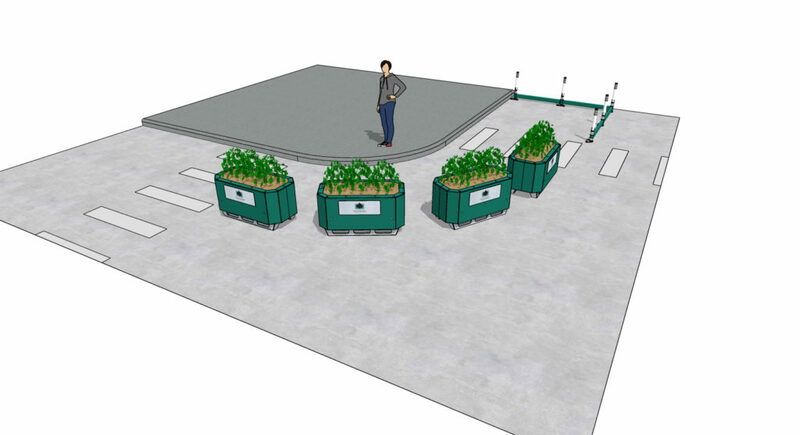 For an elegant solution, combine STEELGREEN™ Planters with lengths of BIKERAIL™ or CURBRAIL™ to create highly protective and aesthetically pleasing corridors and pedestrian spaces. Click on an image to launch the gallery viewer.